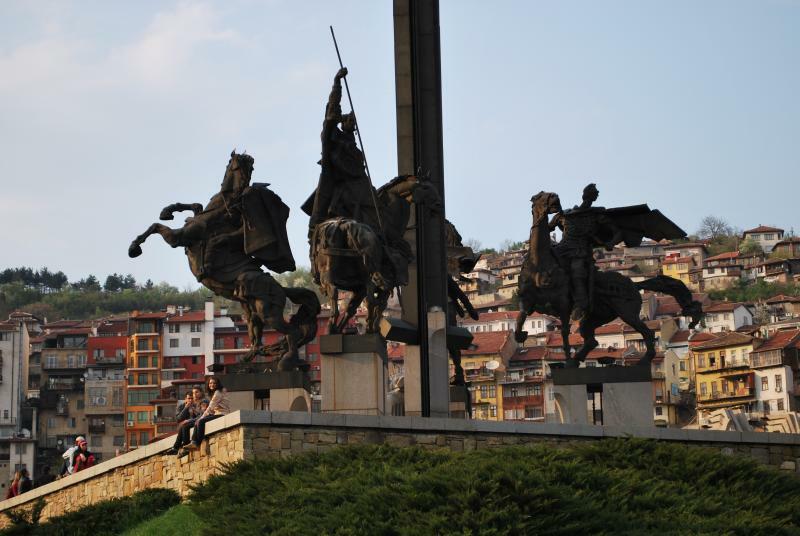 You will discover lots of history, art and past glory in Veliko Tarnovo, the mediaeval capital of Bulgaria. The capital of Mediaeval Bulgaria, Veliko Tarnovo, is one of the most picturesque historical settlements. Located on the hills above the meandering river Yantra, this city, once a glorious mediaeval capital (1186 – 1393), is now attracting thousands of romantic travellers with its irresistible atmosphere. Mixing the legends of the past with bursting joy of hundreds of young students – this is Veliko Tarnovo today, the second most important University City after Sofia. Start exploring the city with the Tzarevets Royal hill. A guide can tell you more than any of the thick books will. Then go to the Samovodska market place, with its narrow cobbled streets, where every stone tells a story. The neighbouring Arbanassi museum village is a genuine gallery of art. Apart from a gorgeous view over the city of Veliko Tarnovo, there are several musts here: the 15th century Church of the Nativity, the house of Konstantsaliev and the house of Hadzi Iliev are fortress-like stone buildings, excellent examples of the 18th century architecture at its height. 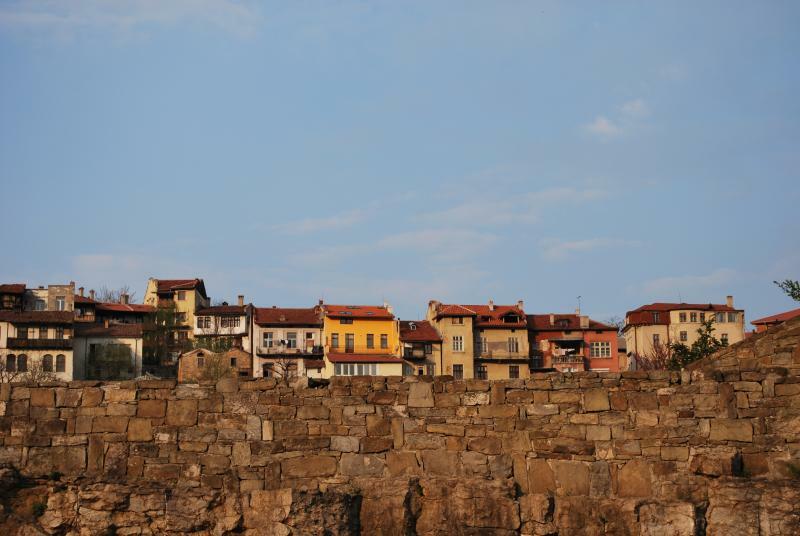 The capital of Mediaeval Bulgaria, Veliko Tarnovo, is one of the most picturesque historical settlements. Located on the hills above the meandering river Yantra, this city, once a glorious mediaeval capital (1186 - 1393), is now attracting thousands of romantic travellers with its irresistible atmosphere. Mixing the legends of the past with bursting joy of hundreds of young students - this is Veliko Tarnovo today, the second most important University City after Sofia. Start exploring the city with the Tzarevets Royal hill. A guide can tell you more than any of the thick books will. Then go to the Samovodska market place, with its narrow cobbled streets, where every stone tells a story. Duration - 2,5- 3 hrs. Meet your guide at the hotel lobby. Drive to Arbanassi. Walk through this beautiful museum village and admire its fortress-like houses and extremely interesting churches. Visit the 15th century church of the Nativity and the Konstantsaliev’s house, an 18th century architectural masterpiece.Duration - 3,5 hrs. Meet your guide at the hotel lobby. Drive to Arbanassi. Walk through this beautiful museum village and admire its fortress-like houses and extremely interesting churches. Visit the 15th century church of the Nativity and the Konstantsaliev’s house, an 18th century architectural masterpiece. Proceed to Elena (40 min). Start your walking tour with a visit to the local museum and the church, which belfry dominates the village. Your guide will help you discover the spirit of the National Revival period and the roots of Bulgarian character and talants. Late afternoon – drive back to Veliko Tarnovo, where tour ends. Following breakfast, drive to Tryavna, with a stop over in Gabrovo. This city is better known as the World Center of Humour and Satire and there are numerous jokes “Made in Gabrovo” you will have to listen to. Proceed to the neighbouring Etara museum village, where 18th-19th century crafts and lifestyle come alive in front of the visitors' eyes. Drive uphill to reach Sokolski monastery. Here you will feel the tranquility and peace of this sacred place and enjoy the beautiful panorama over the nearby hills and the valley. Proceed to Tryavna. This charming village still preserves the spirit and talent of the 17th century artists in the field of woodcarving and icon painting. Discover Tryavna on foot, a visit to Daskalov’s House (1804), museum of woodcarving is a must. After the sightseeing tour, drive back to Veliko Tarnovo, where tour ends. Full day tour to Sveshtari. Visit the Thracian Royal Tomb, on the List of UNESCO Cultural Heritage sites, which is one of the most sensational discoveries during the past decade, dating back to the 4th-3rd century B.C. At the end of the day, drive back to Veliko Tarnovo, where tour ends. Valid for minimum 2 persons per booking, from Wednesday through Sunday.